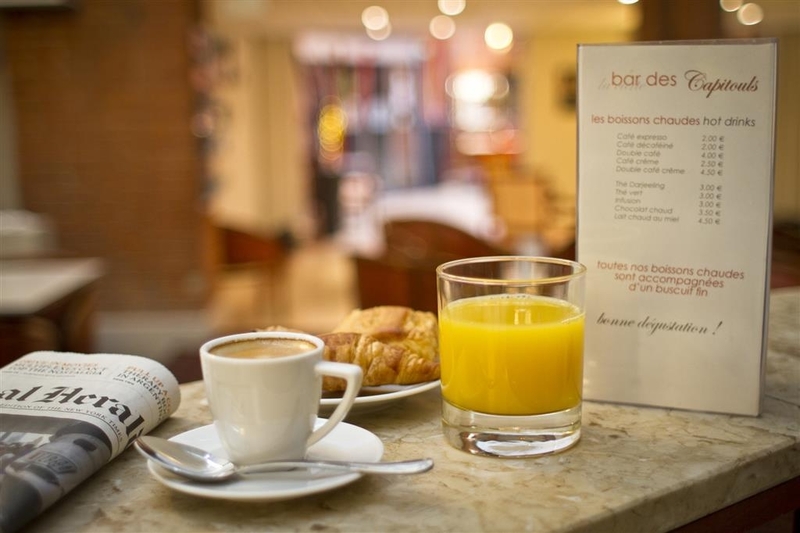 Das Best Western Toulouse Centre Les Capitouls ist ideal in Toulouse Stadtzentrum zu finden. Erleben Sie ein schöner Aufenthalt in der Nähe von alle Sehenswurdigkeiten. Bestpreisgarantie und exklusive Angebote. Das Best Western Toulouse Centre Les Capitouls wurde mit dem europäischen Ecolabel ausgezeichnet. Dieses Ökosiegel wird Serviceleistungen und Produkten verliehen, die hochwertig und umweltfreundlich sind. Im Herzen der „Ville Rose“ nahe dem „Capitole“ liegt das bezaubernde Best Western Toulouse Centre Les Capitouls, das auf elegante Weise den Charme der typischen rosaroten Ziegelwände von Toulouse mit den ultramodernen Einrichtungen eines internationalen Hotels verknüpft. Alle Zimmer sind mit individuell regulierbarer Klimaanlage ausgestattet. Das Best Western Toulouse Centre Les Capitouls ist das perfekte Hotel für Geschäfts- und Urlaubsreisende im Herzen der Stadt mit einer typischen Toulouser Atmosphäre. Unsere Rezeption ist rund um die Uhr besetzt. Unsere Zimmer sind mit Kabelfernsehen, Kaffeemaschine (auf Anfrage), Minibar, 24-Stunden-Zimmerservice und Weckruf ausgestattet. Genießen Sie Ihren Aufenthalt! "Very good and practical hotel, good position"
Located at the edge of old town, good accessibility from airport in 20 minutes. Hotel staff is very kind. Rooms are over the average, very comfortable, breakfast could be better. The room was quite and comfortable. "Western possibly, but surely not Best"
Well located in an older building right in the center of things for a quick visit to the Pink city. We were able to explore the central sector of the town and were not too far from the train station to continue our exploration of the south of France by train. We benefited from the fact that we were traveling in the off season so crowds were not an issue. This was my first stay at this hotel as my normal place was sold out. The location is ok and the reception staff are great. The room is clean and the bed is comfortable. It feels a bit dated but is perfectly functional. Breakfast is very good when you consider the price. The hotel offers room with equipment from 80s so they,rd partly damaged or dirty. The floor needs an exchange. Similar for bathroom. The exchangeable items like towels and bed are tidy. The price of the 'superior room was 120€ but such room is worth 40-50€. "Need some attention and upgrade otherwise satisfactory"
Location central, room clean and very spacious with kitchenette and sofa stayed in room 211, breakfast adequate with fresh products, staff warm and freindly. Some minor attention to decor like repaired cracked lampshade, broken electric kettle, stained curtains, sofa and bathtub. TV channels only French except one channel CNN in english. "High price for a normal hotel"
I stayed in this hotel because the company i visited offered transport in front of the hotel. This is the second time i am staying in this hotel. Previous time i stayed near the road side. This time i asked for a room on the other side. The room was quiet. However, we can hear all sound if any one is walking or speaking out side. Bed was very comfortable. Towels are changed every day. Safe was available at the room but i didnt use it coz, safe was using the door key card. Not sure if this was safe. There is no charger near the bed. There was tea and coffee and toiletries in the bath room. However, i was kept only one half liter water bottle for all 3 nights. On the third day after i returned, there was a smell in my room. When enquired they said it could be insecticide spray. Breakfast was the same all 3 days. Location was good. However, be careful when you walk street behind the hotel. They are dark and bit scary. 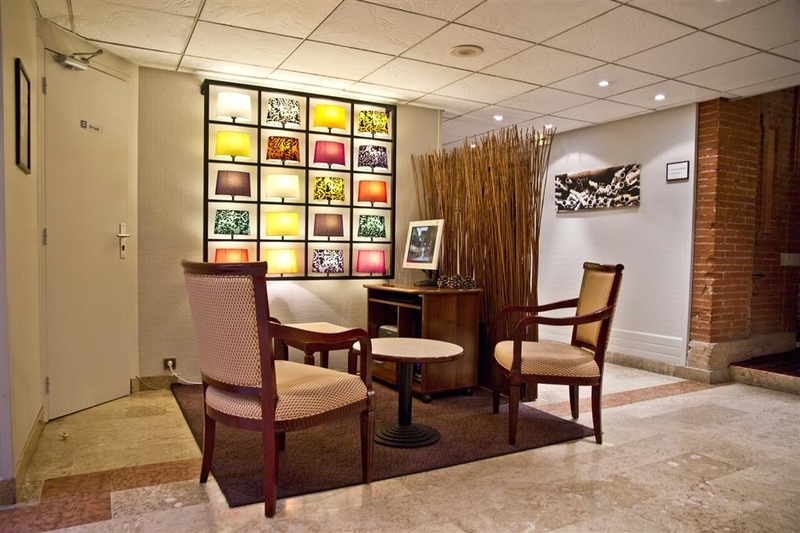 "Great hotel close to Jean Jaures square"
When I first arrived in the rundown lobby, I wanted to turn around and leave. This is the type of establishment that, as a frequent business traveler, I try to avoid - the wear and tear is highly visible throughout the hotel (rugs, furnishings, curtains, bed, bed coverings, towels, elevator, etc), the bed is old and uncomfortable, the bathroom is smelly and the taps are loose and leaky, the air conditioning is rattly and noisy to the point of distraction. There's no fitness center and there's a lot of noise coming from the street at night. Sleepless night - not coming back. "2 night stay in Toulouse "
Pros: - Great location, close to the train station and walking distance to city center. - Good breakfast, wide variety in buffet style - Very clean - Friendly staff all with good English Cons: - Basic bedroom - Safe was not working in our room - Toilet separate to the main bathroom, without ventilation and in a cramped space(unable to close door when using facilities) - We were awoken by construction noise on our first night between the hours of 5-7am. There is alot of renovations happening around the hotel at present. "Nice city hotel / Great Location"
Nice hotel with friendly staff. Clean rooms with good wifi. Great location as metro is located 3min from the hotel. City center is walking distance. I enjoyed my stay and will stay there again with my family in the future. "Good location, clean, very tired"
Frayed around every edge. It looks like it was remodeled about 20 years ago. If you can deal with that, it's a good location and reasonably priced. This hotel needs a top to bottom redo.the staff was pleasant and the room was very clean. "Cozy nice hotel, reminds your home. Very friendly and positive attitude from the staff." Almost in the heart of Toulouse this hotel met me with a good ballance of comfort and reasonableness. Everything is well placed and you don't feel like in a middle of an ice-shiny, sparking palace. It's providing you that rare feeling of being next to your family. And this feeling is getting stronger when meeting the personnel of the hotel. It starts with the reception : Roxanne is the lady wich meet you at the desk with an absolute professional approach and she is really willing to help you.The breakfast served here is at a high level and includes tasty dishes, cafeteria is in the skilfull hands of a very welcoming staff. Thumbs up for everybody who I didn't mentioned, but brought their effort to a nice stay in here. We arrived at Toulouse by train and rather than catch a taxi we walked to the hotel which was not too far at all. Allow about 10 minutes if you have luggage. I liked our room which included a king sized bed with separate bathroom, our own smaller balcony. It was completed by a decent buffet breakfast. Staff were friendly and courteous. Throw in the 12:00 check out it made for a relaxing stay. A centrally located hotel with a very good staff and excellent service. Tiny rooms, very small lobby and tiny breakfast area, no garden or smoking area. The hotel is sadly in need of a face lift. Excellent breakfast. "Dated rooms with strange layout, however, staff very friendly"
The rooms/corridors etc were very dated. My room was on 4th floor, and was of a reasonable size. When you walked in the toilet was on the right of the corridor and rest of bathroom was on the left, and then the main room was at the end. The bed was comfortable, and shower was powerful. Breakfast was a very minimal buffet, which had gluten free products. My wife and I were with the same tour group as Sheila 323. There were 22 in the group plus our tour leader and coach driver. A number of people had different problems with their rooms. Our problem was the air conditioner didn't work. We reported this at the front desk and were told the AC would be fixed. It wasn't. The rooms were small and dark, and we could not open the windows because of the construction that was going on in front of the hotel. In fairness to the staff, we and another couple had a 4:00AM departure and we were provided with a light breakfast and otherwise looked after by a very courteous manager. I booked this hotel because I was trying out various Best Western hotels, and earning points! - Stupidly I read the reviews after I'd booked, something i never do, but on this ocasion I did! - and thought "Oh dear, I've made a mistake here". I should have read the reviews first - but on the whole Best Western Hotels are of a good standard, so having seen there was another BW hotel in Toulouse close by thought I'd split my stay and stay here and the Athenee which is just three or four streets away(which I reviewed separately). The location is good, close to the bus station, bar and restaurants close by. I knew where I was going and roughly where the hotel should be. It was a little difficult to see from the road, but that's only for a short time until work is finished. It is still having refurbishment work being done, but to be honest it didn't bother me that much. The room was ok - I slept well. Reasonably clean and tidy. Perhaps a little TLC wouldn't go a miss, but then work is being done, so maybe other reviewers comments may be looked at. Would I stay here again? - probably not - I'd opt for the Athenee. But given time who knows. BW do seem to be doing a lot of refurbishment work on their hotels - so maybe this will get the upgrade it needs to warrant a four star rating and the price tag! Reception staff very pleasant and friendly. We stayed here two out of the scheduled three nights with a tour company. The terribly rug stained room was horrible. In addition to debris left by the maid the chemicals/perfume were so harsh that we wouldn't allow maid service the following day. The shower went from too hot to too cold without warning. Lighting was bad. Towels and linens were that of a cheap hotel. Others in our group were also very disappointed in this hotel. "Great hotel for its class"
This hotel although covered in scaffolding and subway construction works which don't start till after 9.30am was a great position as within walking distance from bus station and the Gare. If you caught a race from the fare then would be a fare fir four persons and cases €14 approx so cheaper to walk the 10 mins if not raining The staff were excellent The best fluffy white bath towels in Europe! Great for a hotel of this standard The express breakfast well you get what you pay for .. The hotel is currently [May 2018] swathed in construction material (hard even to see the name). It is on a street right near the subway also under construction, making it very difficult to access by car or even on foot. It is several blocks to a more savory area. The hotel itself needs much refurbishment, at least our tired, scruffy room did. The safe is unsafe - you can pick it up and move it, that is if you can get it to work with your key card. Breakfast was minimal. The unprivate "business center" is one computer between the lobby and the breakfast room, en route to the elevator. The lobby was attractive, though, and the front staff very friendly and helpful. It's a average best western hotel. You know what you get. Very nicely located, close to the train station and the city. A bus stop for the airport located just outside. Staff's helpful and friendly. A good pick if you're just need a room for a few nights. Nicely fit into an old building this hotel offers a reasonable price-value relation for staying in central Toulouse. Nothing fancy, but nothing wrong either, if a bit of French touch is ok for you. My room was quiet and equipped with enough space for one person or even a couple on a weekend trip. 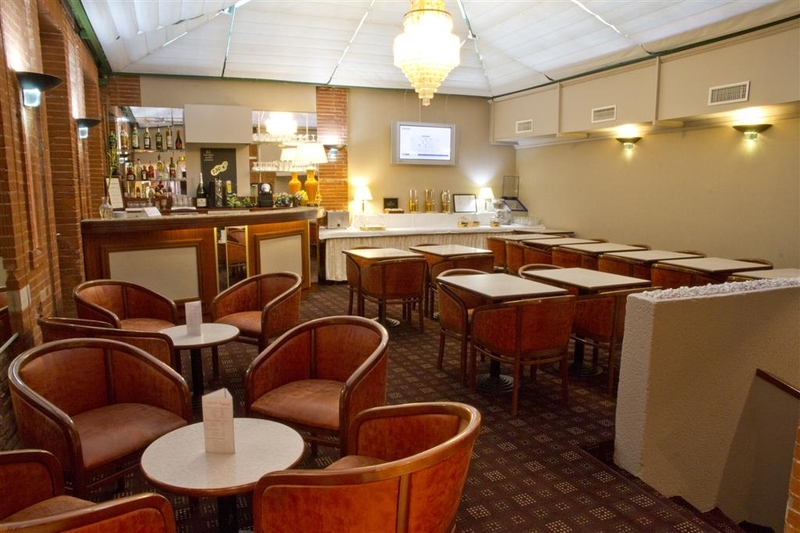 "The staff make this hotel"
Cracking location, very close to shopping and eating areas. Hotel is looking a little tired but the staff more than make up for that. What a great team. My son and I fancied a nightcap and the staff were attentive without being pushy, they even swapped the TV channel so that we could have rugby in the background. Not sure my pronunciation of the longest placename was entirely accurate but it was good to know they are heard of it and not understanding Welsh they wouldn't know any better. Overall a good choice of hotel at a great price. "Some excellent features but needs a spruce-up: good staff"
There are several things to recommend this hotel: convenient to the main train and bus stations (10 min easy walk), and easy walk to most of what you'll want to explore around Toulouse. It's on a Main Street that is being transformed into a mainly pedestrian way (think: Las Ramblas) so traffic is/will be minimal. The rate we got was very competitive, especially when you get breakfast included. The breakfast was a pretty standard buffet - fresh fruit, several juices, the usual coffee machine dispensing cappuccinos, etc, good yogurt variety, baked goods, cheeses, meats ...a novelty: automated pancake maker! Cereals. Let down: somewhat underdone eggs and limp bacon. Big bright room for breakfast was nice. The young lady working the desk, Roxanne, was exceptionally helpful when we discovered we'd lost our tablet en route to Toulouse. She showed great concern and patience helping us figure out a way to submit a loss claim. Really lovely young lady. The room we got, #203, had good/bad about it. The good: separate WC, decent bathroom. It faced the small street not the main so it was quiet. not-so-good: coming out of the elevator you must haul your bags up 7 or 8 steps to reach this particular room. The bedroom felt a little cramped and needs a sprucing up. Not what we expected from superior room choice. Also, oddly, the coffee maker cord couldn't reach the socket so we had to perch it on the nightstand. If you are arriving/departing by train or bus, this is a reasonably good choice. Okay when you walk in here you think - this place needs a make-over and expectations aren't high to start with! But this place really is poor and it really wasn't all that cheap. We were only staying one night but I was tempted to immediately go downstairs complain about the room and if no other options were available book elsewhere. However with just one day in town it seemed a waste and how bad could it be? So we immediately told staff the air-con didn't work and in August it was needed in a stuffy old room, directly onto the busiest of roads. We were told someone was coming that day - I had my doubts that was the case. After a busy day and evening we returned and voila - no aircon and at almost midnight we could hardly check out! The staff who had promised the problem would be fixed had gone off their shift and the reception were apologetic. My husband returned with a sorry of a glass of wine - after a large meal at midnight I let him drink both glasses - a fat discount would have been more useful. A terrible night's sleep in a hot and stuffy room with traffic noise was had. Breakfast was very average and not of a great standard. Cold scrambled eggs.... tinned fruit but enough basic fair to fill you for the day. There was work going on outside the hotel so that didn't help and the room looked old and had carpet stains. Unless this has a major refurb I would look elsewhere for business, pleasure or anything - it's substandard for the price. 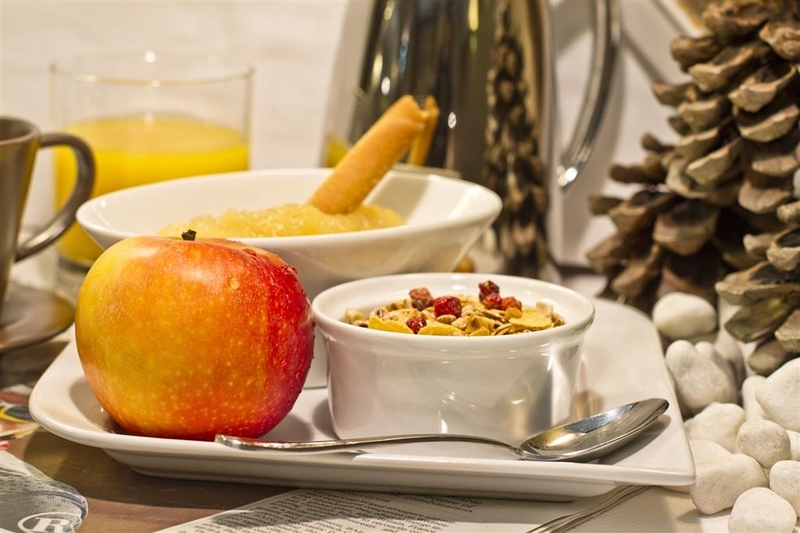 The hotel has a good service, several options for breakfast and very well located. It's near the Capitolio and has several options nearby for dinner restaurants. Unfortunately, there are some works in the avenue, so the access is not easy, but we could deal if it. "Modest hotel very well situated "
This best western is located very close to place Wilson, that I consider the heart of the pink city. Very convenient to access with public transport (airport shuttle, metro). The rooms are not very large and a bit old, but clean and with all the amenities that I like such as a fridge and a hair drier. Breakfast buffet is fine but way overpriced (14.5 euros). "Old place which needs renovation "
Despite the quality of the breakfast, which is fully acceptable, the hotel is old fashioned and needs deep renovation. The decoration must be 40 years old in the rooms and does not give the feeling of being in the center of a regional capital. Good thing however: the hotel has an agreement with the nearby public car park, which allows easy parking close to the reception. A fitness center is missing. Old tired hotel smelling of dampness. I had booked a large room for two expecting space and light. Instead I got a room chopped up into 3 places, one of them a kitchenette type area but all small and cramped and awkward. The reception did cheerfully change our room and the new layout was much better. Location is very good -- 2 min from metro - but I should have opted for accommodations closer to the main square. Abundance of coffee machines in reception and in the room and electric kettle too. Breakfast adequate. Accueil was mixed - some staff very friendly, one night staff member barely acknowledging our presence. "Yeah I should have listened the Trip Advisor reviews." I don't often write long or bad reviews, I really wanted to like this place as it was the perfect location for me so when I read the reviews i thought is probably not bad. Starting off with the good points, location - within walking distance to all sights/shops/restaurants etc. Central metro station a 2 min walk. Room was clean, bed was comfortable, fridge and free bottle of water in the room which is always bonus. Now for the bad stuff... The building is obviously old and the rooms/corridors are in dire need of a refresh. I had a single room which was small which I was fine as only me but I wasn't expecting the shower to be so small I could barely stretch my arms to wash my hair. (i'm fairly tall but not overweight and large person would struggle to fit in this shower) I arrived a 10pm on a Saturday and I could here what sounded like drumming or load base music,( I thought it was coming from a night club next door) It went on though-out the night. In the morning it was still there. It sounded like it was coming from the ceiling ventilation. I complained to reception and they did let me change to another room (Although not once did they apologize or look into what was causing the problem). Because of the age of the building Some of the rooms over look the center of the hotel so there is very little light and no view. Breakfast was ok, not a lot of choice but was free with me room rate, definitely not worth the 14 Euros they were asking. Ironically when I arrived only 3 of the 4 stars on the front of the hotel were lit up which kind of sums it up really, there is no way this is a 4 star hotel. The sign on the building said it all - chipped! Bed was comfortable, breakfast adequate. There was barely room to get around the nod of the bed. The fridge didn't work, no light in the shower, the hairdryer broke. Handle missing on wardrobe door. Corridors narrow and old fashioned in decor. Needs updating and refreshing. Although it looked as if this had happened in the reception it certainly needs upgrading in the rooms. No lounge to sit in after sightseeing. Not what I would expect fro a 4* or the BW brand. Well located near restaurants and maybe a 10 minute walk to the train station SNCF. Arriving from the States tired and not willing to decipher public transport and unable to get a wi-fi connection to the free Toulouse Airport system for an Uber, we were taken on a 40 euro cab ride to the hotel. Disappointing when the internet reported that 22 euros was a normal cab ride. Excellent brekkie, free wi-fi, no safe, a/c and comfortable rooms although our Suite 216 was a bit challenging with suitcases (elevator to 2nd floor, maybe 4 steps up to a hall, at the end of the hall through a door and 2 flights down to our room). We came here with a group of 20. 412 is supposed to be a better room. Carpet is filthy. Bathroom has broken fixtures. There is no room to wash out a thing or two and hang it up. Room is small and the sheets are too. They barely stay on the bed. This is very old and in need of refurbishing. My wife & I spent 6 nights, 12-17 May, at the Best Western Toulouse Centre Les Capitouls. We reserved a Family Room to make our extended stay a bit more comfortable. Our room 212 included two bedrooms connected by a small kitchen area that included a sink, hot water kettle and a refrigerator. The room faced the street, Allees Jean Jaures, so there was some street noise. But worse was the noise from the pub (The Thirsty Monk) almost directly below the room. However, once I figured out how to use the wall mounted air conditioner were able to sleep well with the windows closed and the noise from the A/C unit overriding the faint street noise though the closed windows The room is in need of remodeling. The carpet was literally threadbare with a gap in the carpet where a seam used to be. The bed mattress was well worn as one slept in a valley in the mattress. However, the rooms were for the most part clean. My wife spilled some water in the kitchen area and using some toilet paper to wipe up the spill found the floor well soiled. The staff at the front desk were friendly and always helpful. The weekday lady in the breakfast room was good at keeping tables cleaned away and replenishing the food. The corresponding staff on weekends was let us say less capable. "Small rooms - good location"
The location is good - quite the center of the town, many nice restaurants around (e.g. Pizzeria Vecchio - crowded, many young people, average prices, very good food), fast food restaurants available too. The hotel dosn't have a restaurant, breakfast only ( about 14 Euro) - other options around the hotel are available. Superior room is a must! Standard is too small (from my point of view). It is a quiet hotel, with efficient climatization. Reception is very quick and efficient. No Problems with a late checkout at no cost until 14:00 local time. I like the place. Internet connection is good, but checks your email adress sending an access code otherwise you 'll be disconnected after 10 minutes, and you start the connection procedure again...there is a starbucks about 100 meters away from the hotel. Bathtub and shower available. "Great base for a Rugby Trip"
Good value, great location and very friendly staff. Location is city centre and very close to all transport options. And equally importantly close to all the rugby pubs for post match festivities :-) Locals are Rugby mad and as friendly as you could want, wear you club gear an you will kit be short of someone to chat with. "One of the dullest hotels I have ever stayed in"
Whilst the location itself is pretty good, this hotel has zero atmosphere. There is nowhere really to relax in the lobby, or the "bar" (I loosely describe it as a bar - no-one used it for good reason it was awful) which doubles as the dining and breakfasting area. The room I had was in need of a refurb (cracked sink, no shower curtain, drab furninshings), as I believe the whole hotel is. It was noisy too from both street noise and neighbours. Breakfast was uninspiring. It will not be welcoming me back. "Good place to stay in Toulose"
"Super hotel in a central location"
Walked in to a very impressive reception area staffed by friendly & helpful staff who all spoke good English. Our room faced inwards, so whilst we didn't have a view, it was very quiet with comfortable beds, nice bathroom including a good shower over the bath. Air conditioning worked well which was a relief as it was around 35 degrees outside. Good selection at breakfast. Hotel is very centrally located - taxi ride from the airport cost €30 and took about 20 minutes with the hotel about a 10 minute walk to the central square (Place du Capitole). Nothing we could fault with this hotel - highly recommended. Nicely located with just a short walk to old town. The rooms are a bit outdated and in need of an upgrade. However, every effort is made to provide for all your needs. Our room was in the front on the busy avenue, recommend you request a room in the back which should be quieter. An adequate buffet is available, there's a computer and printer in the lobby area and Wi Fi available for guests. We were greeted by Sabrine, very friendly and professional. She provided excellent customer service and was very helpful. The hotel can be difficult to locate for first time visitors and there is no parking provided but easy access to public parking. In Toulouse for the football so just needed a central hotel for convenience . Very dated , shabby room . Ok to crash out after a long day traveling and going to the match . Not a place for a romantic holiday etc . One of the worst hotels I've ever stayed at. The bar closed at 11:40pm and they stop room service at 10pm. The front of house are very unfriendly. Breakfast is €14 per person. Cereal, some dry pastries, powdered scrambled egg and cold meats and fruit. That's it. Coffee from a click machine Very expensive. Never a 4*. It's a 2* budget at 4* prices. And the room cleaning service was poor. They didn't provide clean towels. Never again! 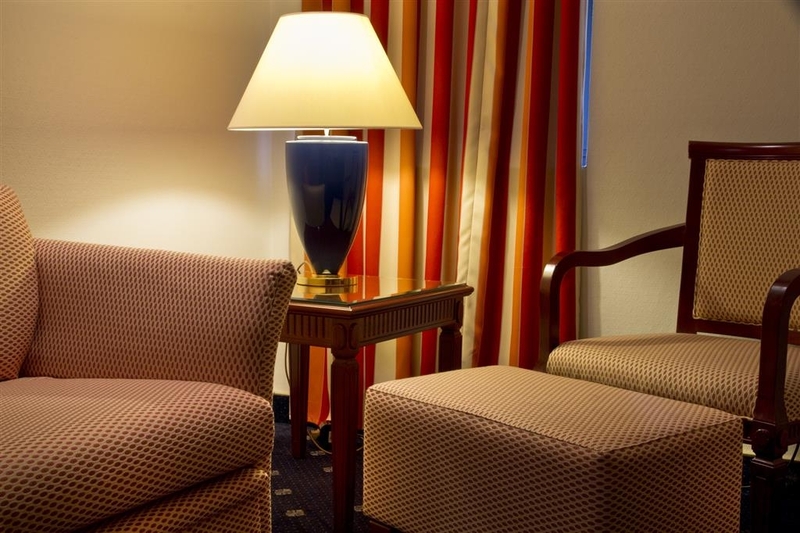 This hotel is nicely located in Toulouse on the main boulevard. However, the windows do not provide much protection from street noise and the air conditioning system is very weak. Avoid rooms 103 or 203; they are very small with no drawers for organizing clothes out of a suitcase. The lobby breakfast was fine, and I appreciated the coffee machine and basket of treats in the lobby - available 24 hours per day. Spent two nights recovering from a long flight from the US. Older hotel showing its age. Although we had a deluxe non smoking room it is evident there have in the past been years of smoking, new carpeting and paint would not only help the appearance but help remove the smell. That being said, it was clean, the bed comfortable and the room large for a European hotel. Arrival from and departure to the airport via the Navette bus was easy, even with a month worth of luggage. Would stay again. The location is central but next time I will choose a hotel close to the "capitol" . The room was nice, even if a little bit old. Breakfast was good , and the staff very nice and competent. The public underground parking was quite expensive, in the 20 euros from the Sunday afternoon until the Monday morning. The hotel is very well located, close to the center, metro and train station. Very good breakfast. Friendly staff and nice atmosphere. Rooms are old fashioned with less comfort than one can expect. Some rooms are very dark since they are located from the inner courtyard. I stayed in this hotel a month ago. I asked for big room and didn't exactly got what I wanted. But above all, it was the dirt. The desk and bedside tables were dusty. There was any shower gel left either. And breakfast didn't have any to do with a BWH one. Staff were friendly though. 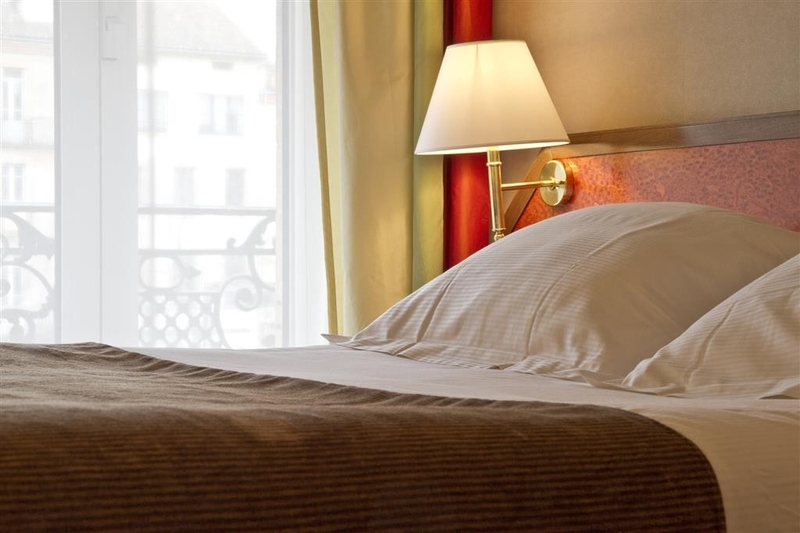 Located in a central spot on a main road, the hotel is a great place to base oneself in Toulouse. 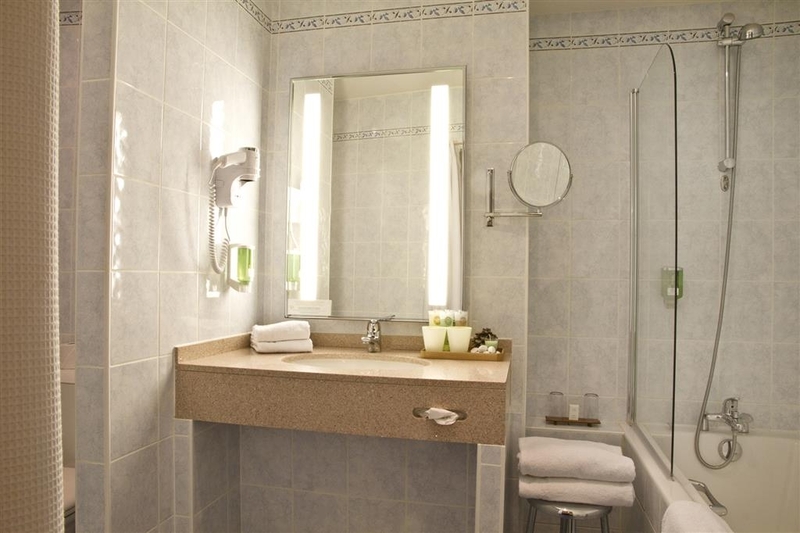 The rooms are nicely furnished and the bathroom is fantastic. Marble everywhere, a bathtub and L'occitane products complete the experience. It was a little stuffy at night so we just opened the windows, although we soon realized that they must be double glazed as they really blocked out the noise from the street (which is a really busy street). Lovely pastries and coffee available at reception area in the afternoon. Enjoyable stay. "Basic hotel a few blocks from the action"
Comfortable beds. Quiet, especially using earplugs when sleeping. A little cramped for two twin beds. Very helpful staff. Just a couple blocks from a nice area with lots of restaurants & a lot of buzz during the day. "Immaculate, welcoming, convenient and friendly in Toulouse"
This was my fifth stay at the Best Western Les Capitouls and my second review. I have always liked this hotel and now it has its fourth star under the French rating system. It is very well located near the City Center close to the Jean Jaurès Metro station at the intersection of Allées Jean Jaurès and Blvd. Strasbourg near many restaurants, cafes and bars. An airport shuttle bus stop is just outside the hotel entrance. The rooms are quiet, comfortable and well appointed. The in-room internet connection is good. The staff is very helpful and friendly. The breakfast, not included in the room rate, is very good: with scrambled eggs, Canadian bacon, pancakes, crepes, and all the other cold items usually found in hotel buffet breakfasts. I cannot speak more highly of this fine establishment. I would recommend it to both family and friends fortunate enough to visit the beautiful city of Toulouse. "4 if you're French, 3 otherwise"
Definitely a French hotel - not much of an international flavour. On the good side - location is excellent for central Toulouse - 2 mins walk to Place Wilson and right next to Jean Jaures Metro and Airport Navette. Staff friendly, room itself clean and comfortable, including quiet but effective aircon. Friendly staff. Drawbacks - breakfast was dreadful - how can the French exist on small cakes for breakfast? The only concession to foreigners was a terrible attempt to cook bacon - rock hard, they needn't have bothered. No English telly (note to hotel - American news channels do NOT constitute English TV). And while the room did have a kettle (not always guaranteed in France by any means), I was allowed 1 teabag (Earl Gray - yuck) for the entire stay - they never replenished it. As per the title, French people probably wouldn't be bothered by the drawbacks. English people probably will. "A good place to stay in toulouse"
Staff is extremely friendly even though I have no specific status with this hotel chain. Rooms are peaceful and quiet. Had a small issue with pressing service. The hotel staff went above and beyond to make it up for me. Excellent experience. As others have said, the location is fabulous. You can walk to just about all of the main attractions and there are hundreds of restaurants nearby. But . . . the place is just plain tired. Air conditioning is iffy; the single elevator went out for several hours (it was 50 steps up to our room after a long day of walking and sightseeing. ); the breakfast makes you feel as if you are in a Best Western Motel in the States. The place seems to be badly understaffed; some rooms aren't serviced until mid afternoon; there is one person to take care of the breakfast room; there is usually only one person on duty st the desk. Supposedly, they are going to renovate later this year. It needs it! "Stay here only if you must"
One good point - location. Less good - beds are hard as a rock (comfort is #1 to me), refrigerator is broken, floors warped, rugs dirty, baseboard missing, hole where smoke detector used to be, elevators broken twice in 1.5 days & they don't line up. My friend tripped and fell getting out. I cannot get out of here soon enough. Has really ruined Toulouse for us..
""It's a battered old apartment building!"" I didn't really feel like i was staying in a hotel here. I think this has been converted from an old apartment building. The small room had a kitchen sink in it! The carpet was battered, as were the walls. The breakfast was a bit cheap. But the lady working reception (and the bar!) was lovely and the location is really good; right in the middle of Toulouse. Wifi was free but slow. I will be travelling to Toulouse often and i think I'll try somewhere else next time.